Fully Multi-Coated	Increases light transmission with multiple anti-reflective coatings on all air-to-glass surfaces. Second Focal Plane Reticle	Scale of reticle maintains the same ideally-sized appearance. Glass-etched Reticle	Protected between two layers of glass for optimum durability and reliability. Tube Size	30 mm diameter. Fogproof	Nitrogen gas purging prevents internal fogging over a wide range of temperatures. Hard Anodized Finish	Highly durable low-glare matte finish helps camouflage the shooter's position. Capped Reset Turrets	Allow re-indexing of the turret to zero after sighting in the riflescope. Caps provide external protection for turret. 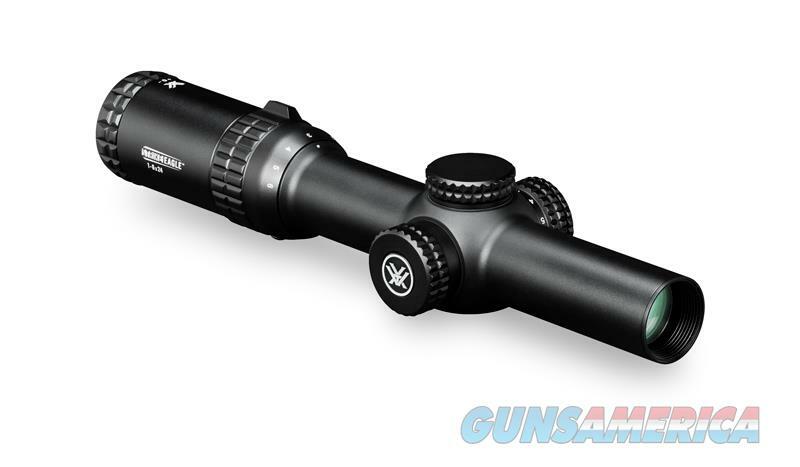 Fast Focus Eyepiece	Allows quick and easy reticle focusing. Buy with confidence. Vortex has one of the best warranty policies in the industry and is known for their quality products. We will ship this item for free to your door. Not for export. Pistols, Rifles, Shotguns, Silencers, Machine Guns, Ammo, etc. Special orders OK.